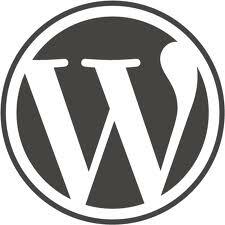 Custom template redirect in WordPress can be quite useful when trying to load a special template by URL or make some kind of small API solution or changing the whole layout for a custom post type. Between first and second step, there is a hook template_redirect which we can use to load a custom template based on whatever conditions we want. If you try whatever URL in your WordPress installation, you will get only Template redirect is cool! written on blank page. But, what if you want to load custom URL that WordPress is not aware of? You will get a 404 error. I hope that these tips will help you achieve even more awesome stuff in your WordPress projects. Do you use template_redirect in your projects? If you know some interesting use of this hook, please share it in the comments section. Great post! One thing I might say is that template_include is the better hook to use in most of those examples above. It filters the absolute path of the template file. I use it a lot when I want a plug-in to provide a default custom post template (after checking that suitable template doesn’t already exist in the theme). You can use template_include, but I saw that many people have some problems on how to hook it properly. I prefer template_redirect because I can use it inside a plugin for other things.